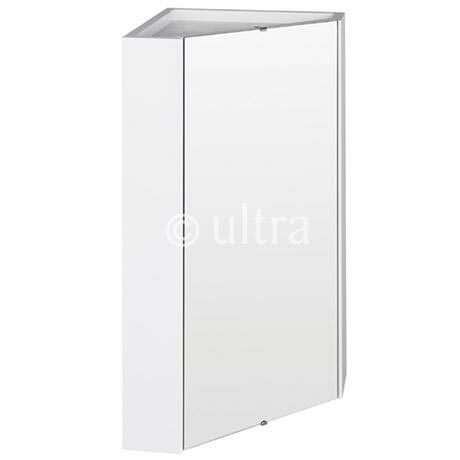 The Design gloss white corner mirror cabinet from Ultra, make the most of your bathroom with our modern and practical furniture options. Featuring a white gloss finish that will blend in seamlessly with any décor, this high quality Ultra Design corner mirror cabinet will make a stylish yet practical addition to any bathroom. This corner mirror cabinet has one internal shelf so you can store your toiletries neatly out of the way. "Beautiful bathroom cabinet, strong and sturdy, love it." Well built unit. Would be better if it came with soft close hinges.